In the motorcycling world, manufacturers do not build a motorcycle per se, they build a platform. Stay with us on this, take a look at the history of motorcycles. An engine is built, then comes a motorcycle. And then another, and then probably another. There’s a multitude of examples and we do not need to ascertain that fact with examples. Today, we have something like that on our hands. The Yamaha R15 was launched in India and it was a home run. After a successful run, it was upgraded. Along came the V2 and sold like hotcakes. And then it was the V3 and it’s still selling like hotcakes. Probably Yamaha took a long time to figure out that they did not only have a motorcycle on their hands, they have a platform. 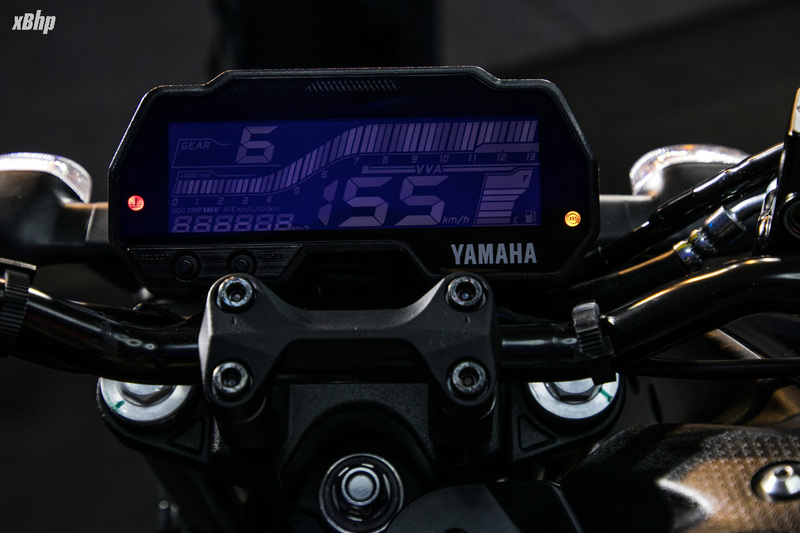 But better late than never and Yamaha MT-15 is clever. That did rhyme but was kind of anticlimactic. 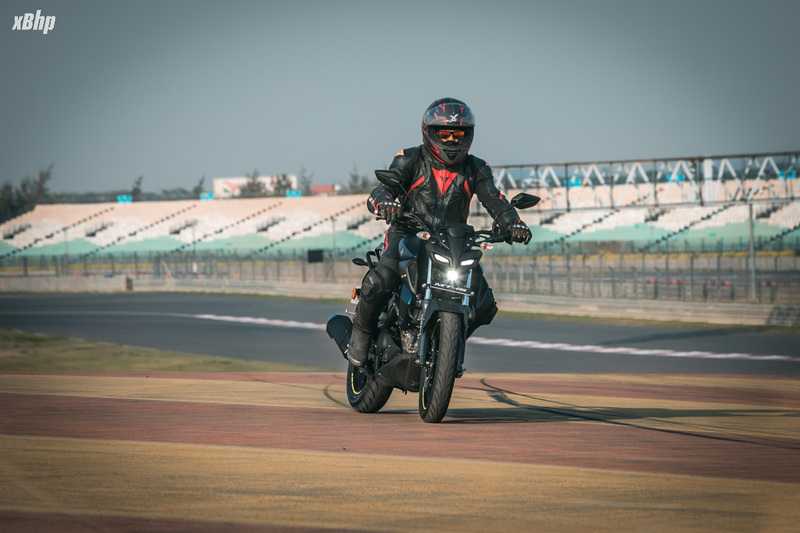 Anyway, the MT-15 has been launched in India, and we took a first ride at the Buddh International Circuit, Greater Noida and here’s what we could make out of it. This motorcycle calls for that word that is probably hated more than the f-word or the n-word. It’s the dreaded S-word i.e. subjective. The motorcycle’s design ideology follows that of the R15. 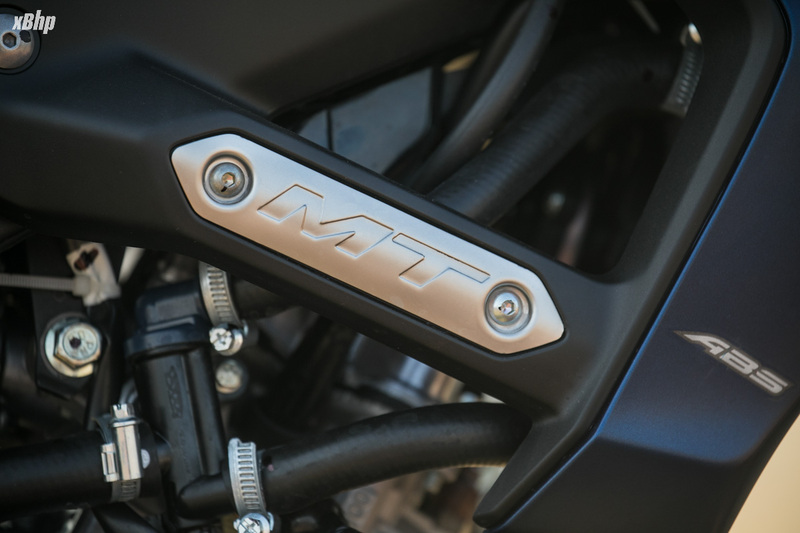 Like the R15 builds on its bigger siblings, MT-15 does the same. The bug eyed headlamp reminds one of the ‘traditional alien face’. The rest of the motorcycle is sleek, slender and very clear in its streetfighter intentions. The international version looks a bit bolder with the USD forks and some exciting color schemes. 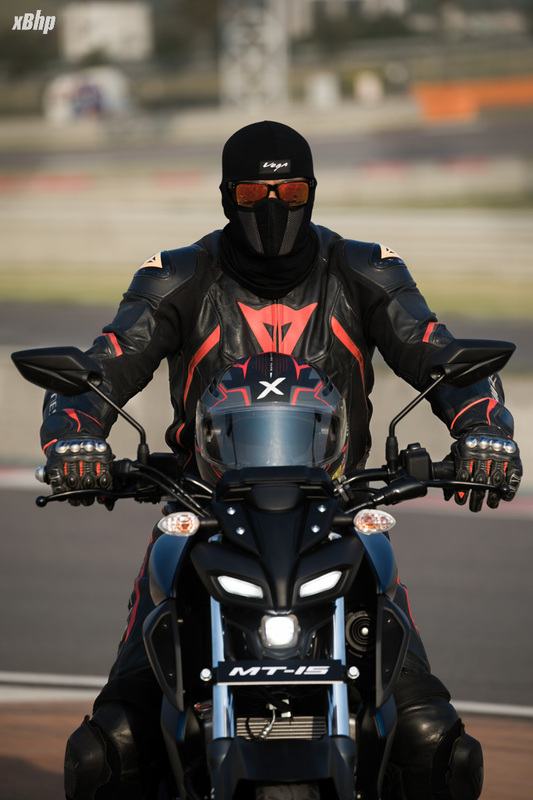 Whereas the Indian version feels like plain Jane further clear from that box-type swingarm. The tyres are the same size as the R15 V3 i.e. 100-section on the front and 140-section on the rear. They do lend the motorcycle a pronounced stance. 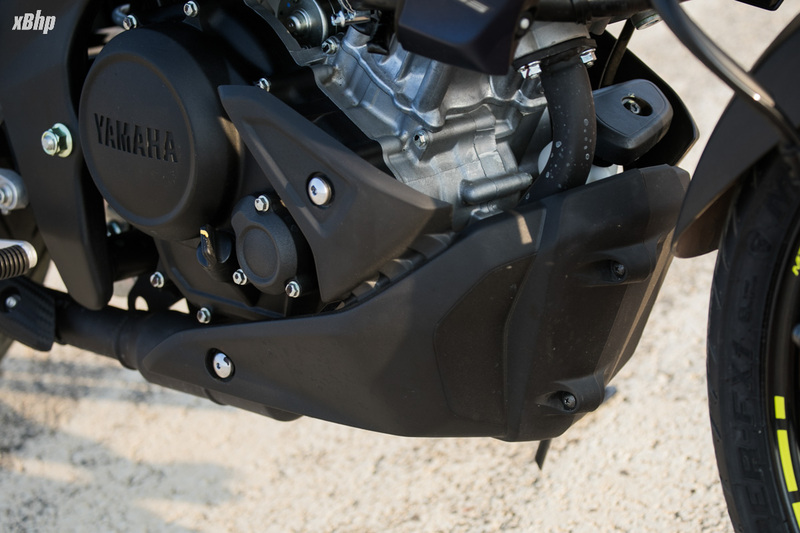 Yamaha has done well to conceal the rear grab rails, which we believe would have looked downright hideous if such was not the case. 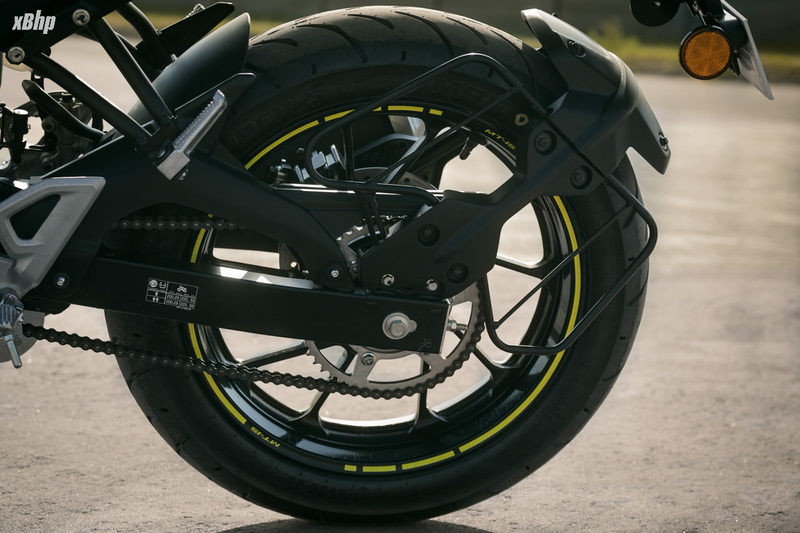 Rest of the motorcycle, though radically designed, will appeal to a majority of the crowd but we won’t be surprised if we found a few non-believers too. Insert the key, switch on the motorcycle, and if you focus only on the console, it is an R15. Simply put, the MT designers had a gala time in the R15 V3 design center as the former’s designers left the doors open. 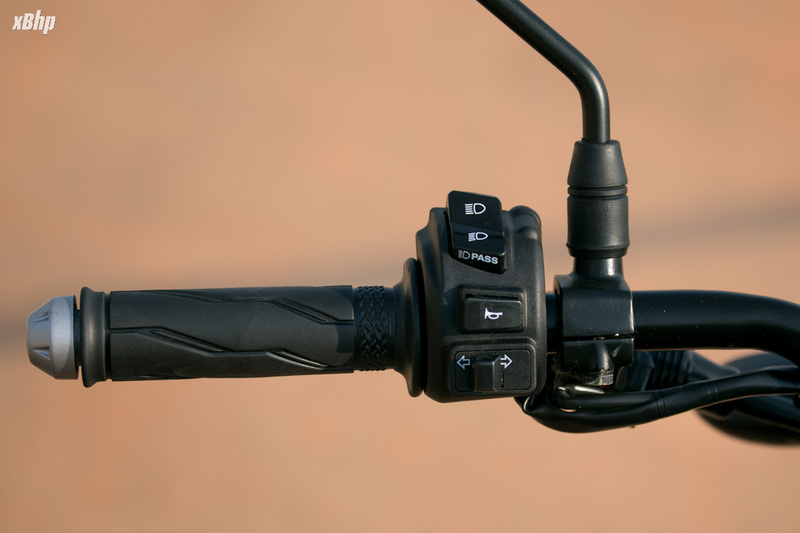 The switchgear though is something that has one asking for more since it is a premium motorcycle. Thumb the starter, close your eyes and it’s an R15 V3 again. Let it warm up and blip it, sound check result: awesome. Saddle up, engage the clutch and you’ll appreciate the light action of the assist and slipper clutch. Disengage the clutch and you are off. 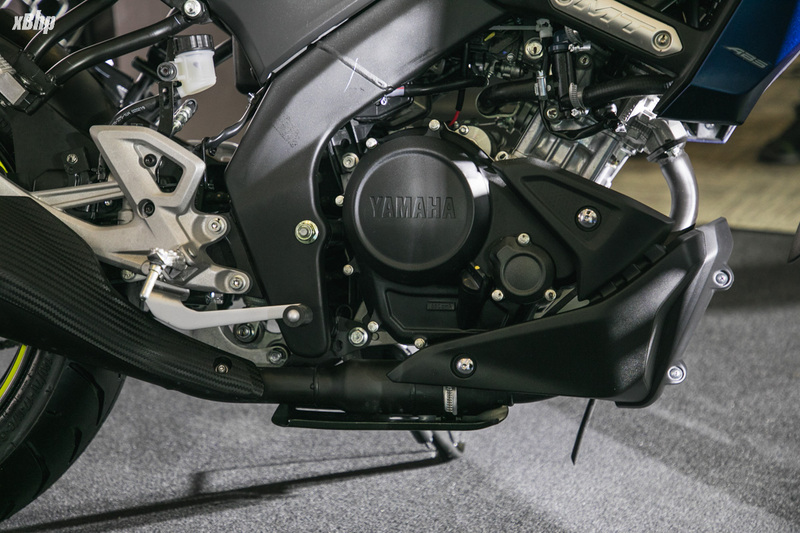 Now, it gets the VVA system like the R15 V3 with variable cam profiles for good performance at the low end and the top end stuff. 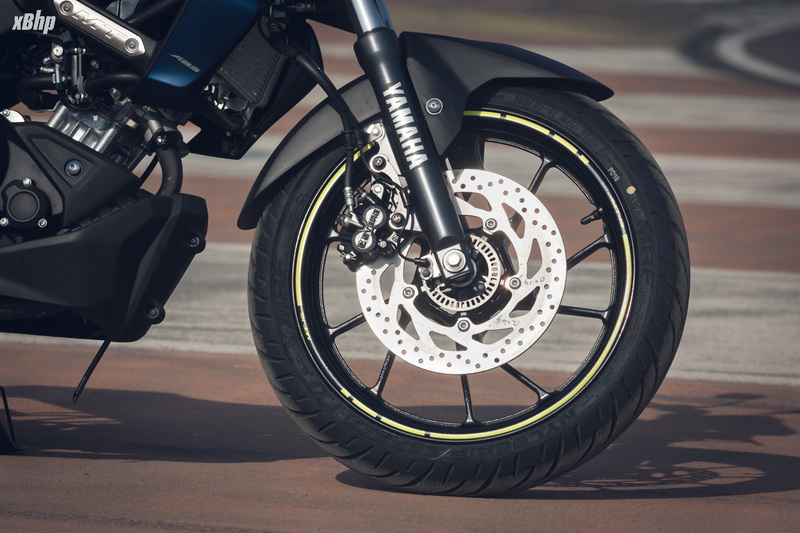 But according to Yamaha, the ECU of the MT-15 is specific to it and so is the final drive. 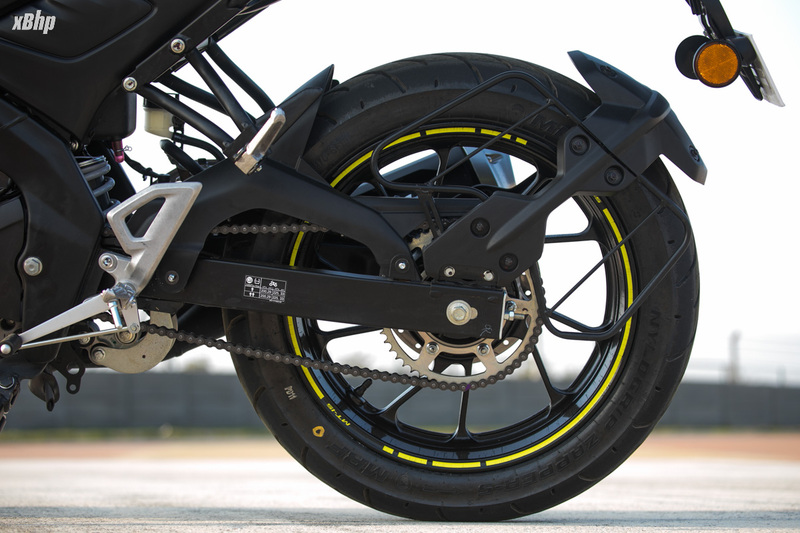 And it shows, the MT-15 is quicker off the line, though some of it is down to its weight too. Now there is a trade-off. The motorcycle accelerates quickly, the revs build up quickly. A bit too quickly for its own good and it loses steam in the top end despite the VVA. Aerodynamics are against it too but with those traits, it shall make for a really good street machine but as much for the highways. Another plus for the engine is the tractability. It does not hesitate a lot even when you are chugging around at lower speeds in higher gears. The refinement though is on par with the R15 V3, refined all through the rev-range, slightly buzzy near the redline but that is acceptable with the engine being a single cylinder. 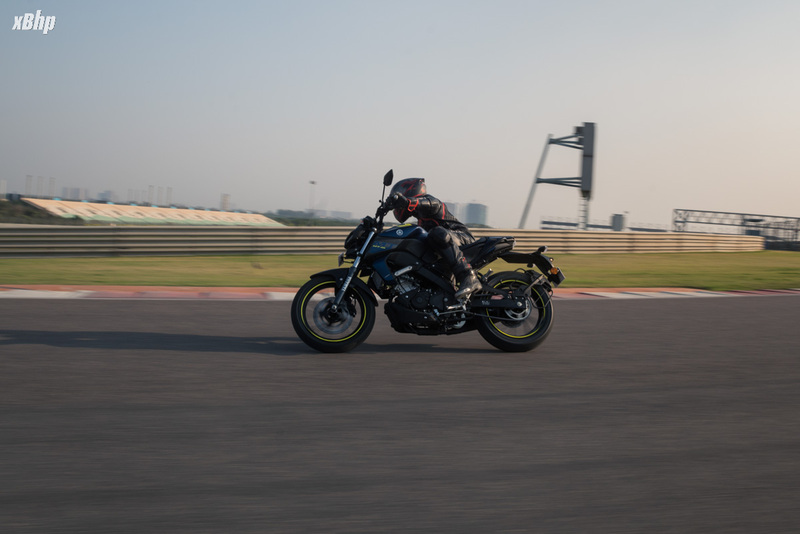 The 6-speed gearbox with the Assist and Slipper clutch is going to be a boon in the city and a valuable addition on the track as well as it facilitates aggressive downshifting avoiding hopping or locking of the rear wheel. 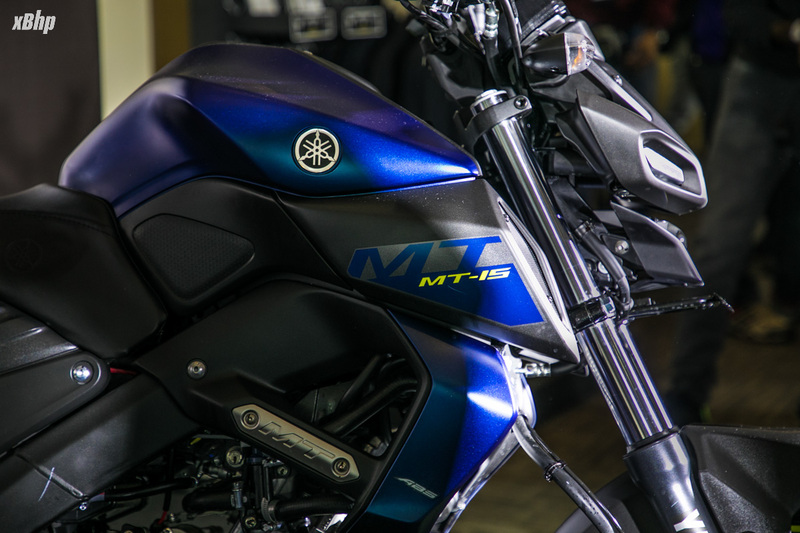 The new MT-15 builds upon the Deltabox frame… that is it. Done. Dusted. Over. But this not a rap battle where we just get to drop the mic. So the handling is the department where the MT-15 shines, predictably. This chassis is a gem. It did a stellar job on the R15 and it does the same for the MT-15. 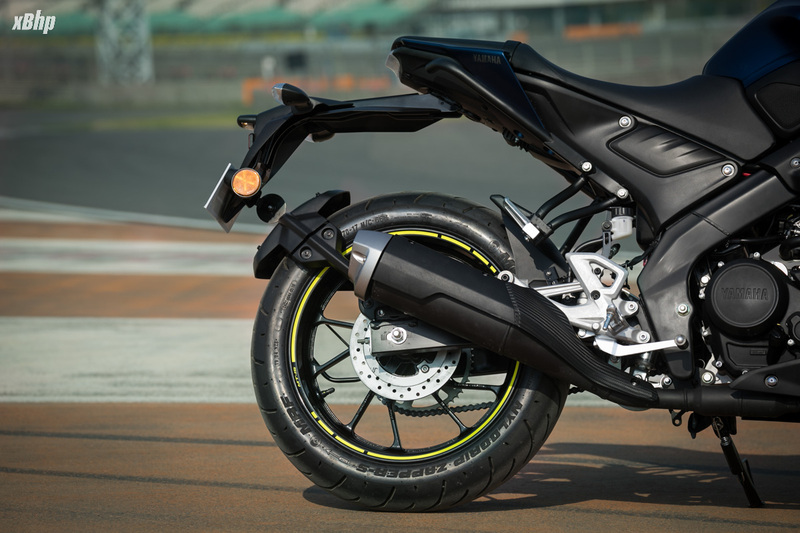 The chassis alone makes this MT-15 shine in this department. Flickable, agile and quick on its feet. But, there’s room for improvement. The rear suspension felt a bit on the softer side. It might help on the bad patches but does take away some of the surefootedness. Also, the tyres reach their limit before the bike does but on regular roads, they will prove to be more than adequate we believe. The brakes, though progressive, can surely use some more bite and feel. The ergonomics are a picture perfect setup for the streets. 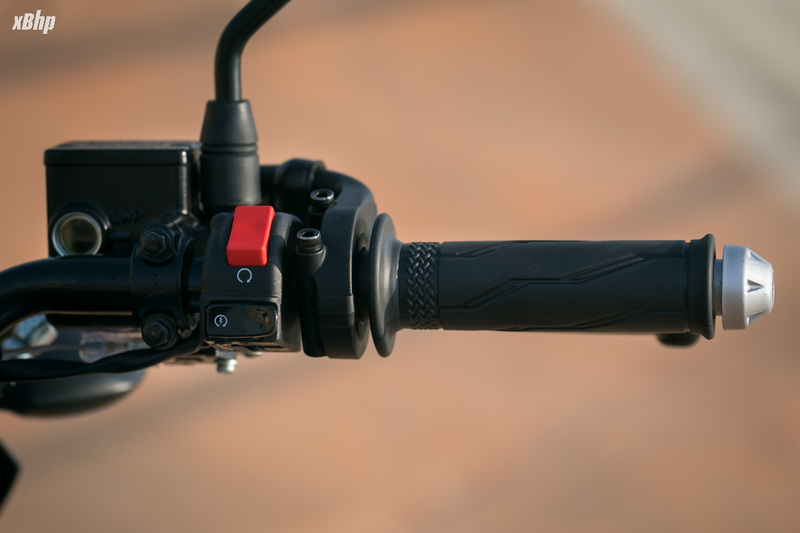 The footpegs are rear set for that pang of aggression in rather mellow rider’s triangle with the higher set handlebars. The seat height, though 810mm on paper, may not be a problem since the tank is lean and therefore getting your feet down is not as difficult a task as it might seem with that number. Overall, it is a fairly comfortable setup with just the right mix of aggression should you feel like exploring the dark side of Japan. Time for the little things and like always, mileage first. 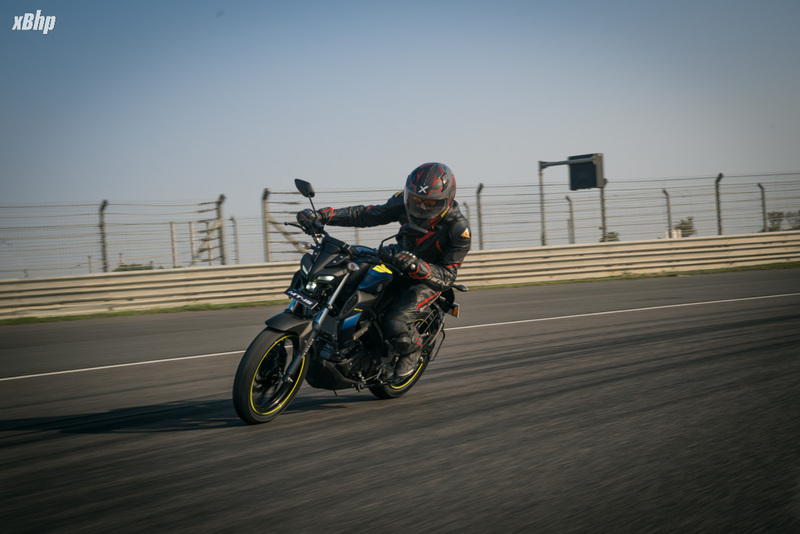 Though we did not get a chance to test it on the track, we have no reasons to believe it’d be any less than the R15 V3 which returned around 38 kmpl in our road test. 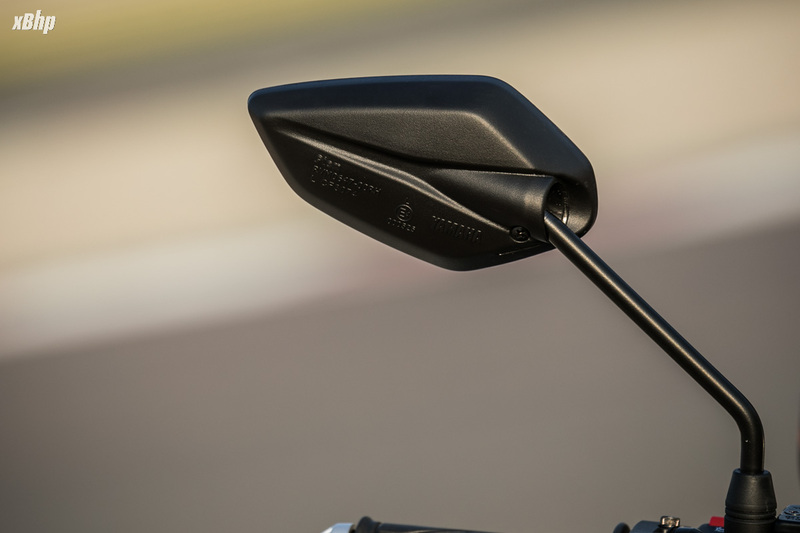 The rear-view mirrors are buzz free and offer ample view of the world left in the dust of the MT-15. We did not get to test the headlight for obvious reasons so this will have to wait till a full blown road test. 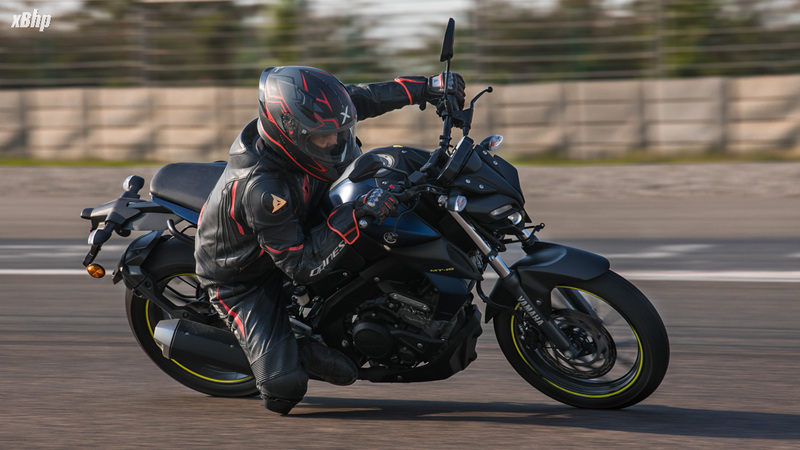 The build quality is pretty solid and here, MT-15 exceeds its suit-clad cousin, the R15 V3. Exhaust note is decent, not very throaty but sounds of smoothness and refinement. 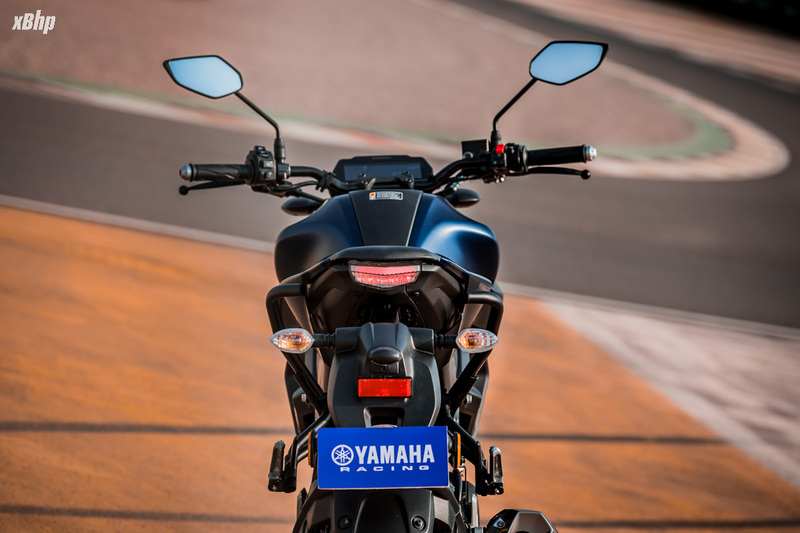 So, the highly anticipated Yamaha MT-15, apart from the R15 engine and chassis, does not really possess any deal breakers. 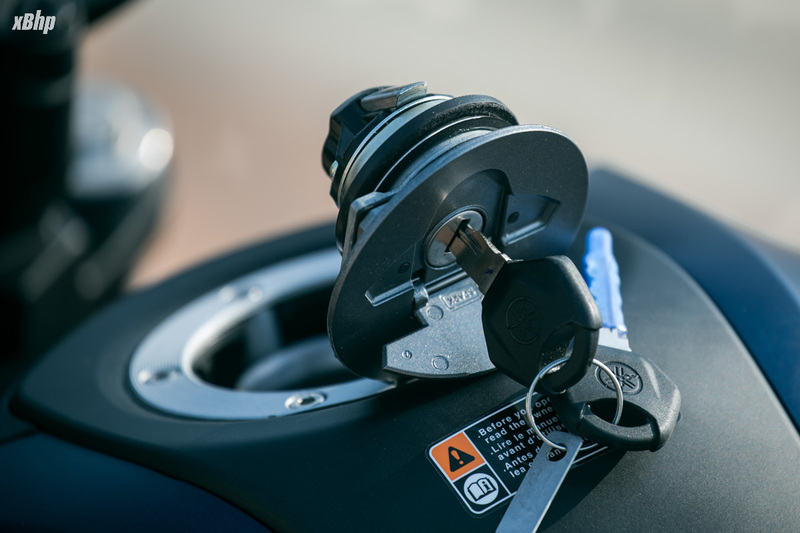 The engine is capable is an already established fact and so is the fact that the Deltabox frame works wonders in the handling department of the MT-15. It may look very cool to most and not so much to a few, so it fares well in this department as well. 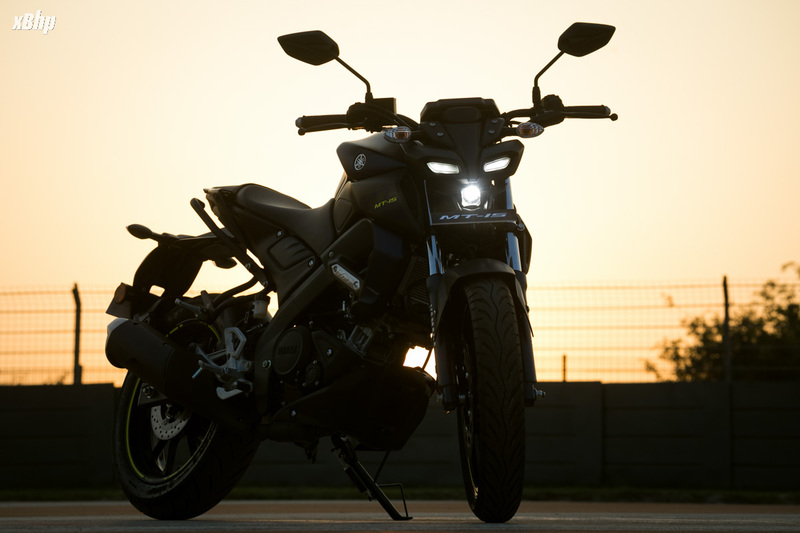 So all in all, the MT-15 is a great motorcycle and a near perfect streetfighter in the segment… but that isn’t the end of the story. We left out the elephant in the room. 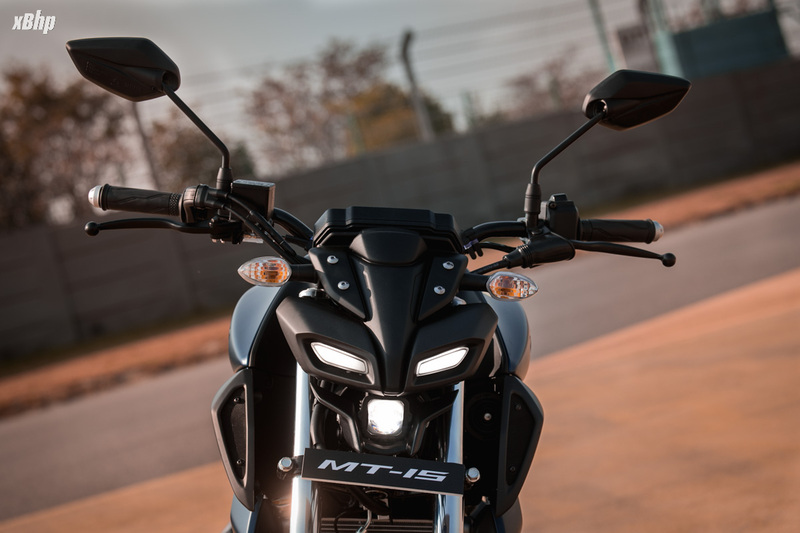 With a price tag of INR 1,36,000/- (Ex-showroom Delhi), the MT-15 has managed to score a big negative. 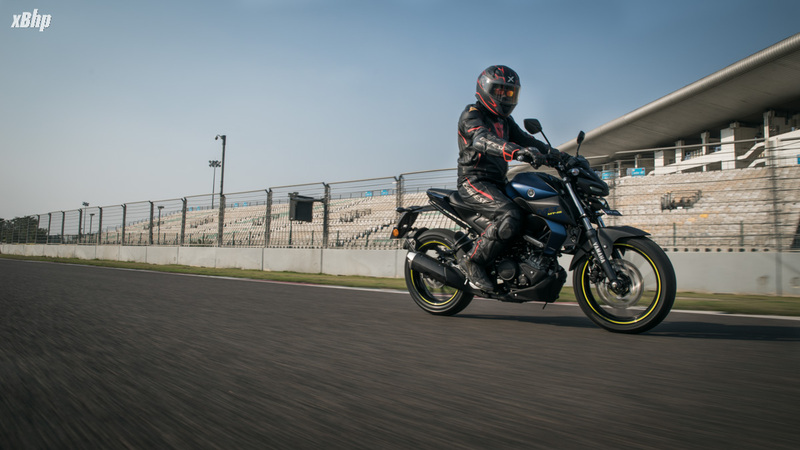 The competitors like NS200, Apache RTR 200 4V etc., with a similar performance package are available at a much affordable price tag and the bright side of savings of 20K odd rupees in India might leave the prospective buyers awestruck enough that they might not want to explore the dark side of Japan. But then, we know for a fact that there are people who wouldn’t mind spending that extra mooolah for the Yamaha price tag and much revered exclusivity. Last edited by NewsReaper; 4 Weeks Ago at 09:58 PM. ashwanth.r, saquib3005, kiran2508 and 1 others like this. Looks were inspired from a mosquito. 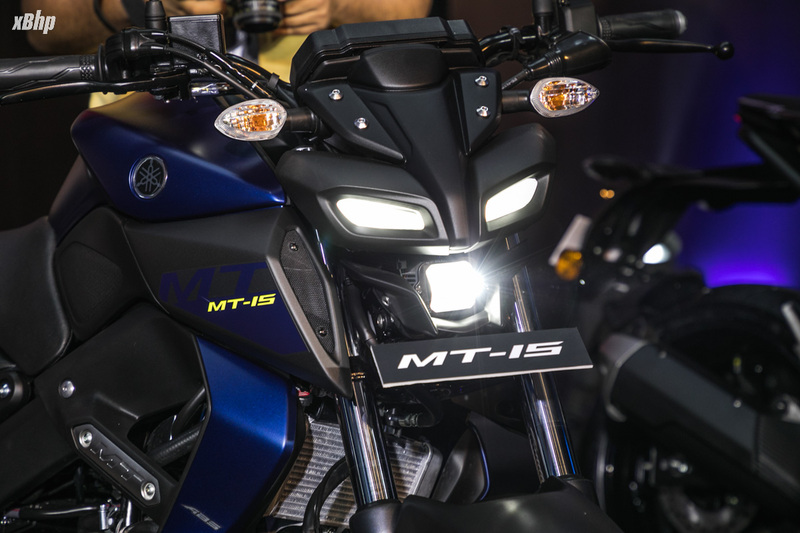 First navi then intruder now mt15, Indian designers successfully ruining good bikes. Hero is benchmark of this special skill. Arvind Sibi, hariharan618 and Zapps like this. An usd fork or alloy could have been added at this price. But as a proud owner of Yamaha R15 V2 2013, I will never compare an YAMAHA with a bajaj or tvs. 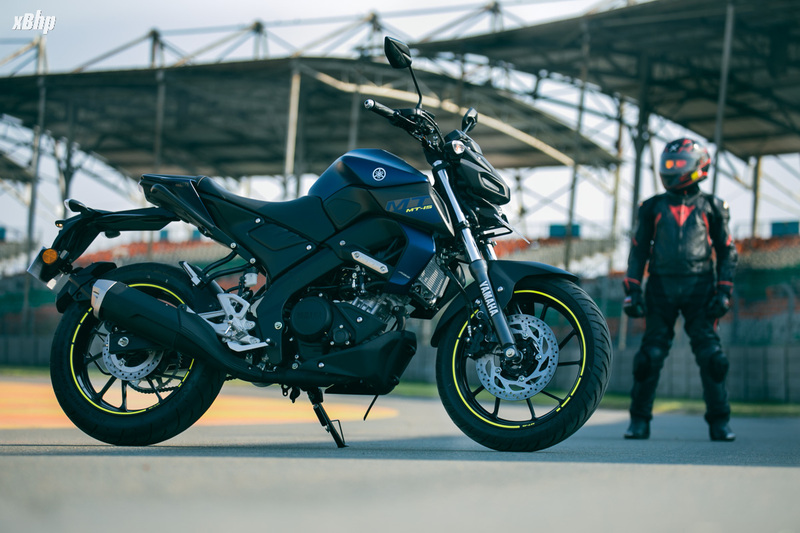 In the market, bajaj or tvs should provide comparitively less expensive products to sustains the momentum as they lack the BRAND VALUE of an YAMAHA or HONDA eventhough new products are much refined (eg; dominar). But Japanese brands can easily deliver quality, refinement, joy of riding,... In my opinion, the value of a bike with DiASil block, VVA, track derived chassis, top shelf parts... should not be compared with cheap motorcycles. Apples of New Zealand is sweet, crispy and really amazing. Can I sell that apple in say Namibia, Ghana, Venezuela? If your answer is NO then you understand the market of bikes as well with that example. Boasting about quality, refinement and all the tech wizard stuff means nothing in a country where Splendor and Activa are the most selling bike/scooter. It is a niche market with very particular price aware buyer. The world ain't all sunshine and rainbows. It is a very mean and nasty place. It will beat you to your knees and keep you there permanently if you let it. You are a proud owner of R15 V2 and of course enthusiasts love that machine. It has design, quality, performance, looks, everything. But in terms of quality, V3 is not good as V2 or even S.
Nowadays, most Japanese ones is dropping their quality levels to keep the prices low. I had R15S in my mind and still now it is. 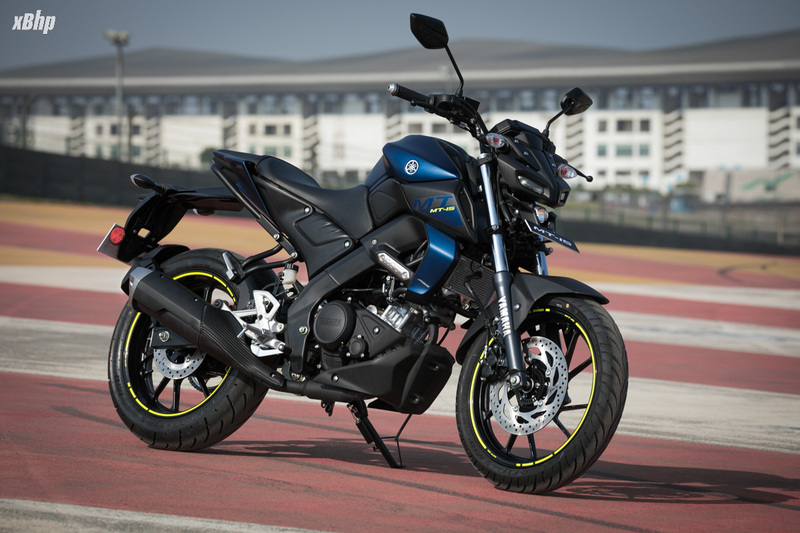 But unfortunately I was not able to get my hands on it and I got RTR200 (a dual channel ABS one). Most R15 buyers I know bought just because of its looks. People buying bikes based on performance and tech is lesser here. Just ask every V3 buyer about VVA and its advantages, I bet most of them won’t know. Motor enthusiasts will obviously know that and would have got the bike, but not all the buyers. Track derived chassis - I’m not even remembering atleast one of my circle friends who uses R15 in tracks and explore its true potential. This track oriented bike is not providing a proper dual channel ABS and this is the only disappointment I have in MT. I was waiting for this launch and much disappointed. If they would have given dual channel ABS for this asking price atleast, there will not be this much of disappointment from us. When Life Throws You A Curve..
Having moved to ktm side after r15 v1, i say their quality is good too. I was too afraid to get anything other than Japanese but am glad i made the move. Especially with road side assist i have peace of mind. I can clearly see cabling is not as robust or well done. In general everything is not as over engineered as r15 but I hope to take good care of it just like v1. 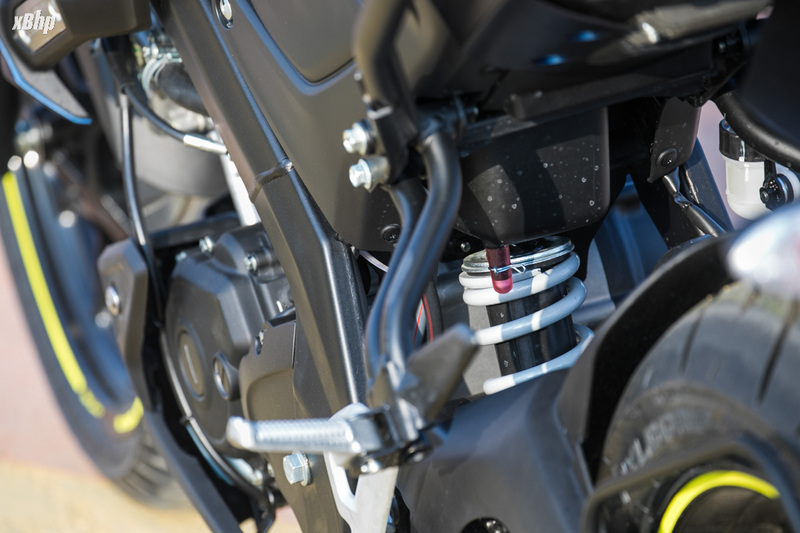 Contrary to popular belief, you don't need to visit race track to understand r15 s capabilities. You just need very slight adjustment in your riding style, seating posture and how you hold the bike. In no time you will learn to fly across corners at good speeds. R15 is road oriented sports bike. R6, R1 could be said to be track bikes. They are absolutely no compromise machines. Yeah, I’m not questioning its track abilities and all. 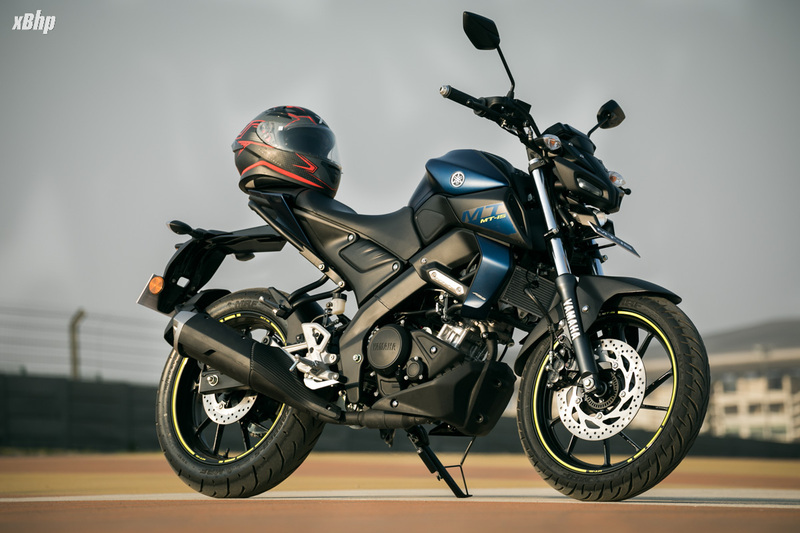 I currently own a new RTR200 still, if given a chance, I will choose R15 over this. Unfortunately, R15 was ruled out from my list by my father. But in case of MT, just defending this pricing factor in the name of Japanese machine and techs is what I can’t agree with. I think MT is overpriced for what it offers, but R15 is not. R15 is a better buy any day. Also, he mentioned as not to compare a machine with VVA with a cheap product. I don’t know what cheap product he mentioned here. Sorry if I’m wrong here. Jackharrisw and #bpk like this. Wonderful review. Up and close! Wow finally officially launched naked version of R-15 was awaiting eagerly for its launch. An overall combo package with sporty look. Just noticed that they interchanged Horn and indicator positions. 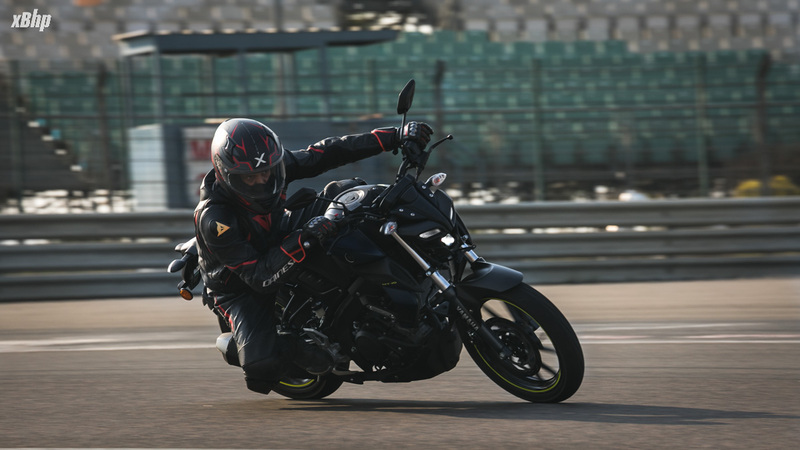 Now its similar to CB500R and 650F/R. Will need some getting used to. The bike seems to be selling. Can see good numbers on Bangalore roads already. Ride, ride and ride.. But always do it responsibly..
Is my bike running lean? By Sakibchy in forum Help Me! All times are GMT +6.5. The time now is 09:55 AM.